Hold papers in place with this metal clip. 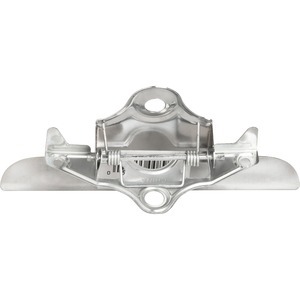 Clip features a bright nickel finish and two mounting holes for easy wall-mounting with rivets (not included). Distance between holes is 3-1/2"". Metal clip does not include mounting hardware.